Mathematical modeling provides information that is difficult to obtain from experimentation alone and can, therefore, save scientists and engineers time and money as they create new drugs or design lighter and stronger airplanes. The NIST Digital Library of Mathematical Functions (DLMF) is the backbone of such modeling, giving researchers an authoritative reference with definitions, notations and essential properties of the most commonly used concepts in mathematical modeling. 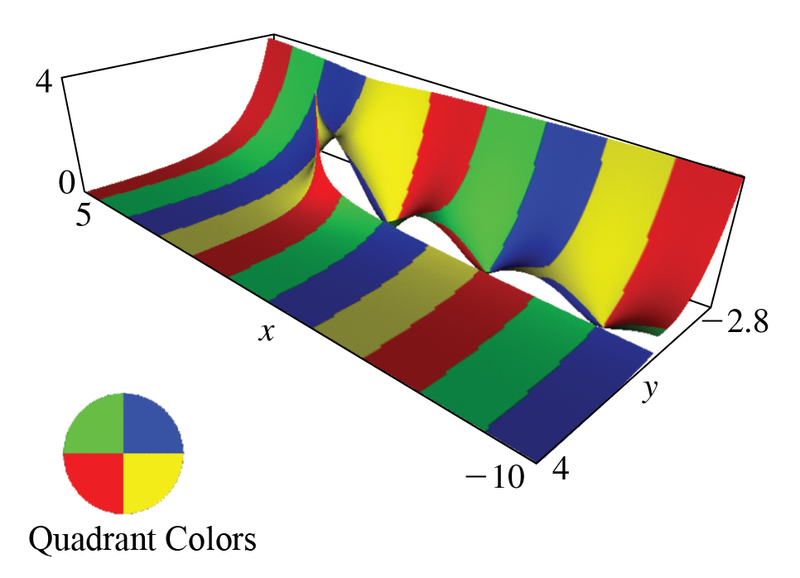 This visual representation of a Hankel function for complex variables in the NIST Digital Library of Mathematical Functions can be explored in three dimensions by web users. Hankel functions are solutions of Bessel's differential equation and they play an important role in many problems of mathematical physics, such as heat conduction and wave propagation. NIST mathematicians created the DLMF to provide critical reference information needed for mathematical modeling. Mathematical functions—the basis of mathematical modeling—can be used to describe physical processes from the formation of galaxies to the performance of wireless networks. Many science and engineering efforts rely on this invaluable reference for the properties of these mathematical functions. The DLMF includes the precise definitions of functions, alternative ways to represent them mathematically, illustrations of how the functions behave at extreme values, and their relationships to other functions and concepts. The DLMF has been applied to an astounding range of applications, from understanding the effect of undersea mountains on ocean currents and the complex mechanisms by which the DNA molecule folds itself (which plays an important role in its function), to the creation of more accurate maps by improving methods for projecting a sphere onto a flat surface. The DLMF contains hundreds of interactive 3-D visualizations of complex functions, which now can be rotated and manipulated on most web browsers without the need for a special plugin. NIST published the DLMF to update and modernize the landmark 1964 Handbook of Mathematical Functions, Graphs, and Mathematical Tables for today’s digital world. The Handbook was an indispensable reference—it sold an estimated 1 million copies and averaged over 1,500 citations per year. The lengthy tables of values for mathematical equations included in the Handbook have been rendered unnecessary by modern computers. Instead, the DLMF includes twice as much technical material and over 810 figures. The new version is also available online, with visual aids and interactive capabilities.